By David Niven: Social Work Expert. Discovered by Player FM and our community — copyright is owned by the publisher, not Player FM, and audio streamed directly from their servers. The post 040 JSWEC Part 6 Social Media appeared first on Thoughts On The Social World. 93 episodes available. A new episode about every 33 days averaging 33 mins duration . A fantastic folk rock CD to raise funds for Looked After Children. The post 086 Jenni Randall & her Looked After children project appeared first on Thoughts On The Social World. GISW, Glass and non prescription drugs The post 084 Chris Walters and various topics appeared first on Thoughts On The Social World. the challenges of safeguarding children and young people. The post 083 Jim Hopkinson. Safeguarding Bradford. appeared first on Thoughts On The Social World. Dave is a Barnardo’s Children’s Service Manager in Bradford and is Young Lives Bradford VCS representative on Bradford Safeguarding Children Board. The post 076 Bradford VCS Dave Benn appeared first on Thoughts On The Social World. This time I'm looking at a magazine format with two radio interviews and an introduction to the Independent Inquiry into Child Sexual Abuse. The post 075 Interviews and Inquiries-Social Care & Sexual Abuse appeared first on Thoughts On The Social World. Since retiring 5 years ago he has chaired 2 safeguarding adults boards The post 073 Bradford interviews Chair of Adult Safeguarding appeared first on Thoughts On The Social World. The Government announced just before Christmas a review of Local Safeguarding Children Boards The post 064 Review of Safeguarding Children Boards appeared first on Thoughts On The Social World. We talk of his commitment to child and family friendly health care and the background to this internationally endorsed initiative with its relevance to multi agency work in safeguarding. The post 060 Dr Simon Lenton – Child Friendly Health Care appeared first on Thoughts On The Social World. Following the general election I thought it interesting to hear about what's happening in these two countries. The post 056 Social Work in Scotland and N Ireland appeared first on Thoughts On The Social World. Subtitled "Reflections from practice"a new book by Bill McKitterick that offers a fresh and innovative view on leadership for social workers and managers. The post 055 Self Leadership in Social Work appeared first on Thoughts On The Social World. It certainly has been child protection week! With the Prime Minister announcing his ideas for professionals in child protection to be charged with 'wilful neglect' The post 051 Child Protection appeared first on Thoughts On The Social World. She talks of initiatives, political support, policy priorities and hopes for the future in a wide ranging interview. The post 048 Jane Devine Social Work Scotland appeared first on Thoughts On The Social World.By David Niven: Social Work Expert. We offer training to employers who, like us, recognise that good news stories told by social workers will improve public perception and help them to do their jobs without stigma. The post 046 Social Work & Media Training appeared first on Thoughts On The Social World.By David Niven: Social Work Expert. A strong supporter of social work and a survivor of abuse, she talks of her commitment to protecting the vulnerable and disadvantaged in our communities. The post 045 Tessa Munt MP appeared first on Thoughts On The Social World.By David Niven: Social Work Expert. 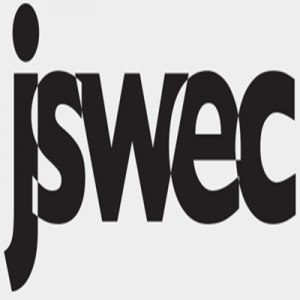 JSWEConference Thoughts of newly qualified workers and social media in social work education The post 040 JSWEC Part 6 Social Media appeared first on Thoughts On The Social World.By David Niven: Social Work Expert. Start listening to Thoughts On The Social World on your phone right now with Player FM's free mobile app, the best podcasting experience on both iPhone and Android. Your subcriptions will sync with your account on this website too. Podcast smart and easy with the app that refuses to compromise.